Homeowners today have so many choices in countertops. The choices include natural and manufactured products, and many environmentally-friendly choices in countertops. 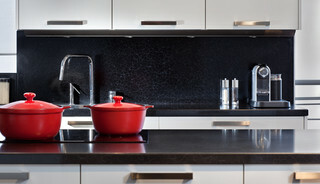 Over the past two decades, the last word on countertops has been granite. But a new word has entered the countertop lexicon – manufactured quartz countertops are in demand. The reasons for the rising popularity of this material are many — including its durability, resistance to bacteria, natural-stone look and unlimited color options. Engineered quartz is produced through a process of mixing ground quartz with a small percentage of polymer resins. Because quartz isn’t porous, countertops are more sanitary, and can be kept virtually bacteria-free. These countertops also resist staining from most liquids and household cleaning products. Sales of quartz countertops have increased 60% in the U.S. in the last decade. Quartz countertops can be installed for around $50 to $100 per square foot and up. It may seem counterintuitive, but according to experts at the National Kitchen and Bath Association (NKBA), glass countertops are extremely strong as well as being heat resistant. A glass countertop can create a visually stunning centerpiece in a kitchen, but it will need to be wiped often to remove fingerprints. Scratches may also be a problem. Some companies are creating prefabricated glass countertops that can be installed by experienced do-it-yourselfers. On average, glass countertops may cost anywhere between $85 and $300 per square foot with installation. Stainless steel is versatile, and can be found in the most modern kitchens (including restaurant kitchens) as well as farmhouse kitchens. It is relatively inexpensive, starting at around $100 per square foot, and can stand up to excess heat. The installation process is similar to installing a laminate countertop, and many stainless countertops come with a raised edge, to reduce floor spills. Concrete countertops are highly prized for their durability and the endless color and texture combinations they can provide. 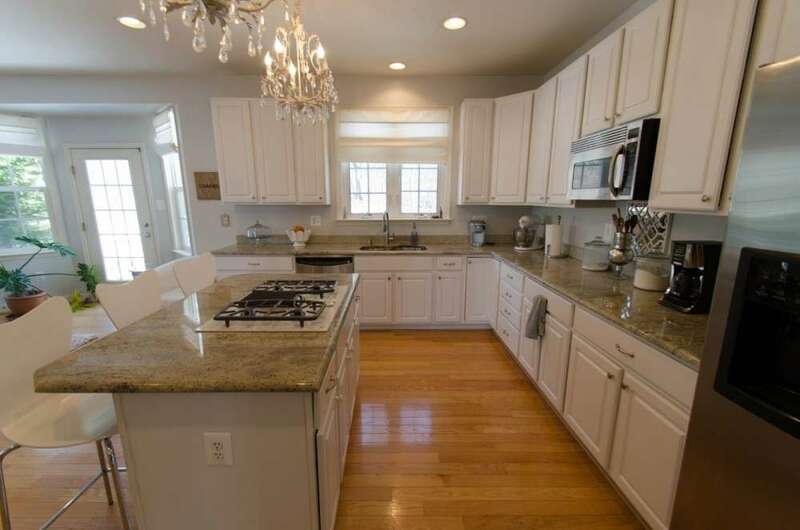 Because they can be expensive, however, more determined homeowners are taking the plunge and creating their own molds to make concrete countertops. Before undertaking a project homeowners must make sure cabinets can support the weight of the concrete, which, at 2 inches thick, can weigh between 12 and 22 pounds per square foot. Instructions for the process are available everywhere, but it is a time-consuming project. 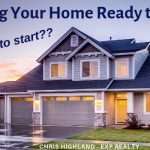 However, with diligence and patience, homeowners will be rewarded with a customized countertop for less than if they had hired a contractor. 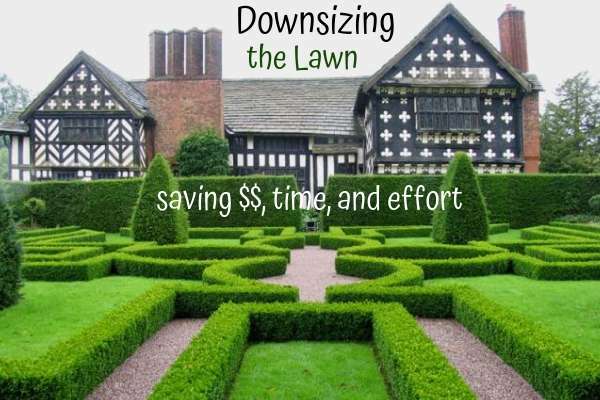 For homeowners who prefer working with a professional, price will generally range from $80 to $120 per square foot. 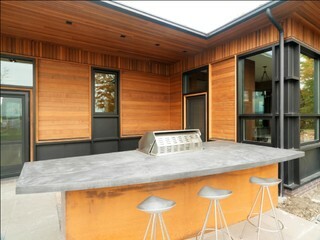 This outdoor kitchen is a perfect place for concrete countertops! 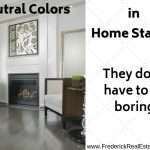 The many colors and looks available in concrete make it very agreeable for any decor. Another do-it-yourself countertop that may be less difficult to tackle is the installation of a ceramic tile countertop. The material is inexpensive, and typically installed one section at at time. The advantages of a ceramic tile countertop include the price, as well as the wide range of colors, textures and design. Disadvantages may include tile cracks or grout stains. 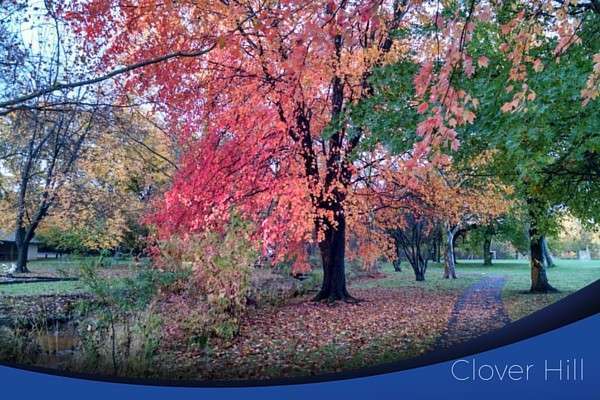 Recycled paper is combined with a resin base to create a surface thickness between 1/4 inch to two inches thick and with a wide variety of edge profiles, depending on a homeowner’s requirements. 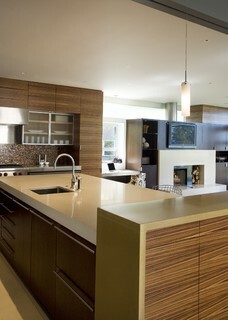 The surface is heat and stain resistant, and no two countertops wil look alike, based on the colors of the paper used. Non-petroleum, formaldehyde-free resins (some made from cashew nut shells) are used. The material can be cut and shaped using woodworking tools. 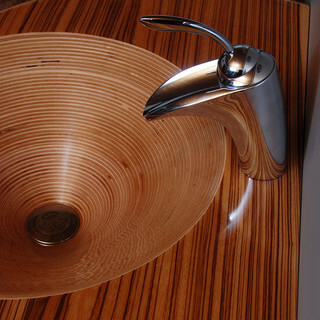 Similarly budget and eco-friendly is the option of a bamboo countertop. The price is similar to that of the recycled paper countertop, and around $40 to $80 per square foot. 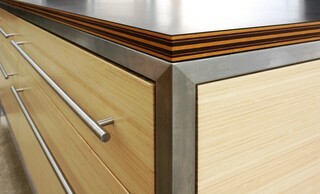 Bamboo countertops are generally priced between $35 and $70 per square foot. Because of its fast growth, bamboo is considered more renewable than wood. 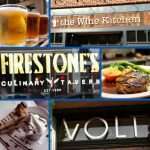 So many choices! 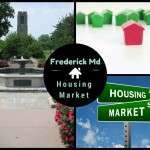 And all of them within reach to homeowners in Frederick Md. Thanks to David Goldberg, our favorite home inspector, for this great guest post about countertop choices. Contact David for any home inspection needs. Countertop Choices for Today's Homeowners, Manufactured Quartz Countertops In Demand, homeowners have many choices today, including green alternatives.